CARLISLE hosted the sale of Bluefaced Leicester females, where G.H.R. Shields of the Skeughdale flock, Kirkby Stephen, scooped a leading bid of 6,800gns for a ewe lamb. 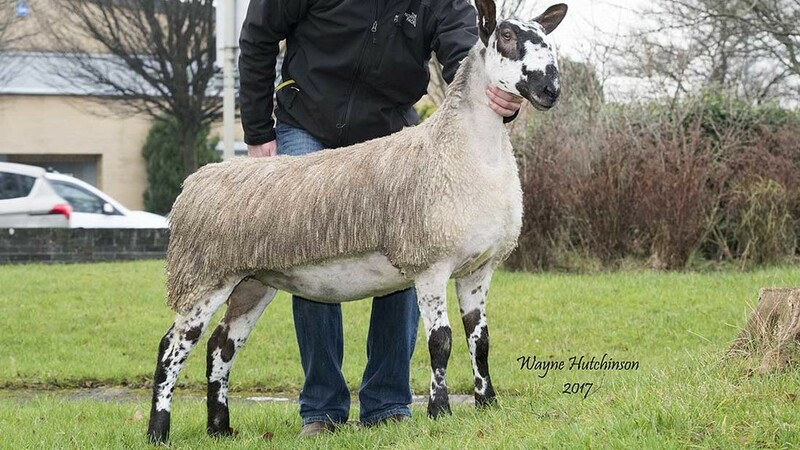 By a home-bred ram, the top exhibit was placed in the third crossing type class in the pre-sale show, before selling to J. Ireland and Son, Frizington. The overall show champion, a ewe lamb by a Marriforth ram, from the Kirkby Redgate flock from W.M. Hutchinson and Son, Kirkby Stephen, followed at 6,500gns, paid by Lee Beacom, Co Tyrone. The same vendor also sold a Skeughdale-sired ewe lamb to G. Loughery and Michael Smyth, Co Londonderry, who secured half shares with a 5,800gn bid. C.J. and J.E. Willoughby, Leyburn, sold a ewe lamb from their Penhill flock for 5,500gns. By a Midlock ram, it placed second in the crossing type class, before being knocked down to Andrew Campbell, Argyll. The Midlock flock from John Wright and Sons, Lanarkshire, sold a Hewgill-sired gimmer in-lamb to a Bull and Cave ram for 4,800gns to Mr Beacom. At 4,200gns was a home-bred ewe lamb from the Shafthill flock from J.W. Smith Jackson, Northumberland. The buyer was M.R. Thornborrow, Pebbleshire. Overall, £1,158.92; 21 ewe lambs, £690 (-£529.37), 75 ewe lambs, £1,128.69 (+£168.68), 87 gimmers, £1,211.97 (+£240.33).